Today we will see the launch of the new iPad devices which are set to be the iPad Mini 2 and the iPad 5, amongst some other surprises that Apple have up their sleeves. For many, this event has come out of nowhere as the iPhone event of last month took the limelight. Did you even know there was a Nokia launch event today? With each event launch we want to give you the lowdown of which sites are running blog commentary, audio, and visual streams of the conference. Apple may be hosting a stream live on their site, we aren’t sure yet whether this will be the case or not. 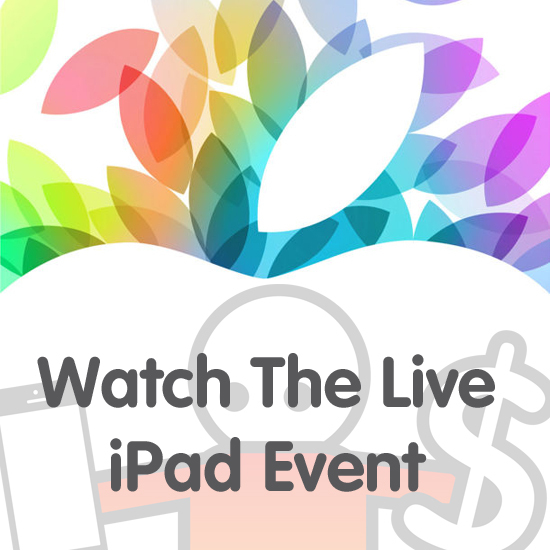 Apple Live – If Apple do provide a stream it will appear on the site before the event begins. If you have any other sources leave us a comment, we will check it out and update the post for others. If you want to cast your mind back to last years keynote presentation then you can watch the Apple 2012 event where we saw the unveiling of the iPad Mini, iPad 4, iMac and the 13″ MacBook Pro with Retina. BBM, Nokia World and iPad event later. crazy day. 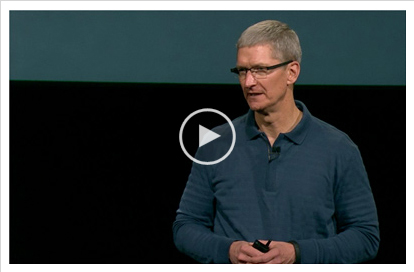 Desperately hoping today’s Apple event isn’t an iPad launch but actually a massive apology for iOS7 and a rollback to iOS6.